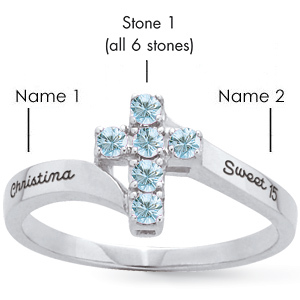 The sterling silver Devotion ring has a birthstone cross of your choice and two engraving areas. Select a color for all six simulated 2mm round stones. Engrave up to 10 characters on each side of the ring. Import. I really liked the ring.